‘bottomless’ that proceeds it. A City that will find almost any excuse for a tipple now has one presented in the guise of breakfast-lunch. 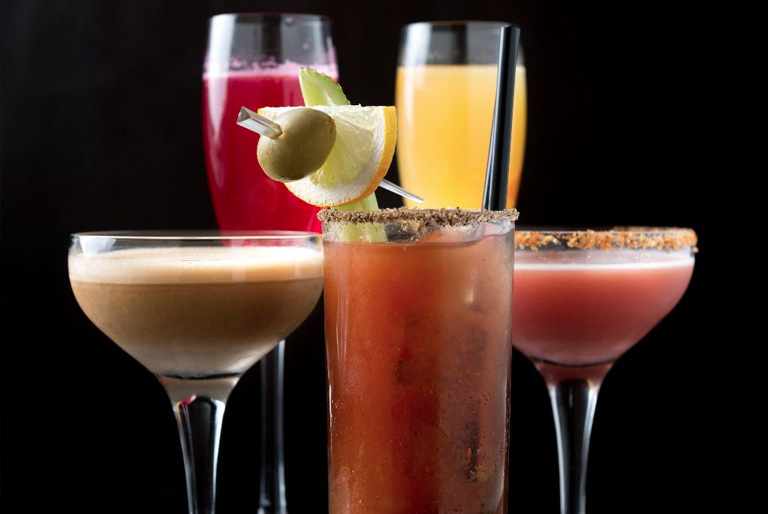 From free-flowing wine, bloody marys, champagne, prosecco or beer there is always something to supplement your ‘meal’. 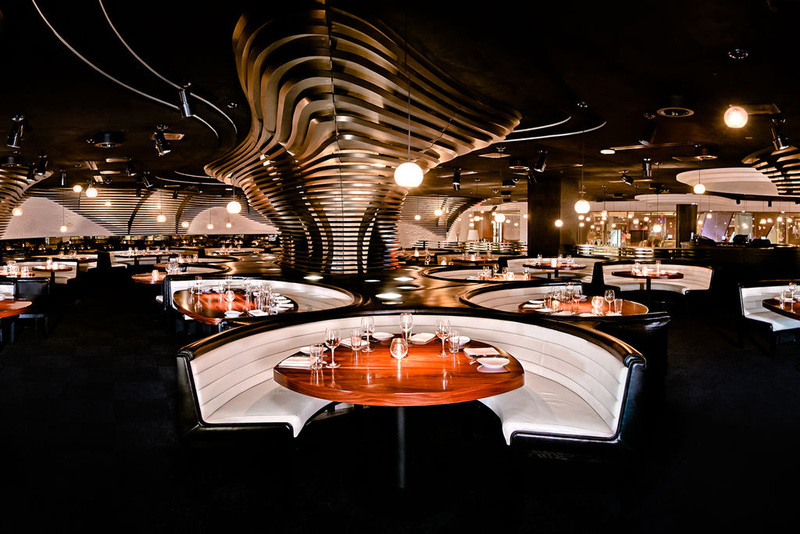 STK at the ME Hotel has elevated itself to one of London’s premier steak restaurants and marries possibly the best two options you can find anywhere in the brunch realm. But there’s a bit of a twist with the food – it’s actually very good. So much so that it can stand alone, regardless of providing an excuse for getting day-drunk. The two things I speak of are the traditional American style brunch and champagne… unlimited champagne (Laurent Perrier Brut). 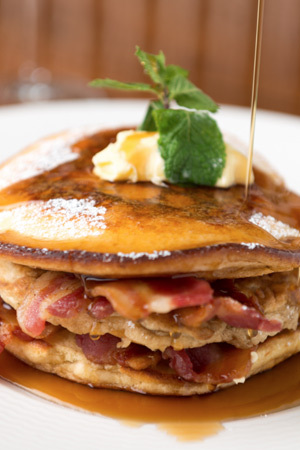 For £30 and from 12pm – 2pm guests can drink as much as their legs will allow while enjoying such dishes as green eggs and ham, pancake stack with maple syrup, streaky bacon and whipped butter; and steak, egg and chips. We went for all the platters – The Eggy platter includes duck Scotch egg, truffled scrambled eggs and eggs benedict, and the Piggy platter offers Duke of Berkshire pork chop, smoked pork sausage, and crispy streaky bacon. 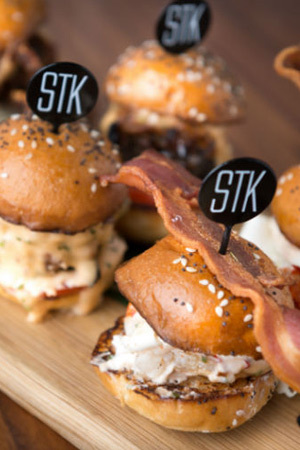 The Sliders platter includes three versions the STK Lil BRGs, the classic with wagyu beef and special sauce, soft shell crab with celeriac and wasabi remoulade and BLT Caprese – bacon, lobster, tomato and mozzarella. For those uninterested in champagne (or in need of some light relief) there is an interesting bespoke cocktail menu to explore as well as coffees and teas (for anyone who needs sobering up). The brunch kicks off at 12pm where the mood is quite relaxed, the music is calming and the general pace resembles that of your typical weekend lunchtime. As 2pm approaches, the party begins to start, the restaurant fills, the lights are lowered and the music is turned up. But before you cancel all plans and head to STK it must be said that brunch here isn’t really for everyone. This becomes quite clear after 2pm when the restaurant fills with party-brunchers. 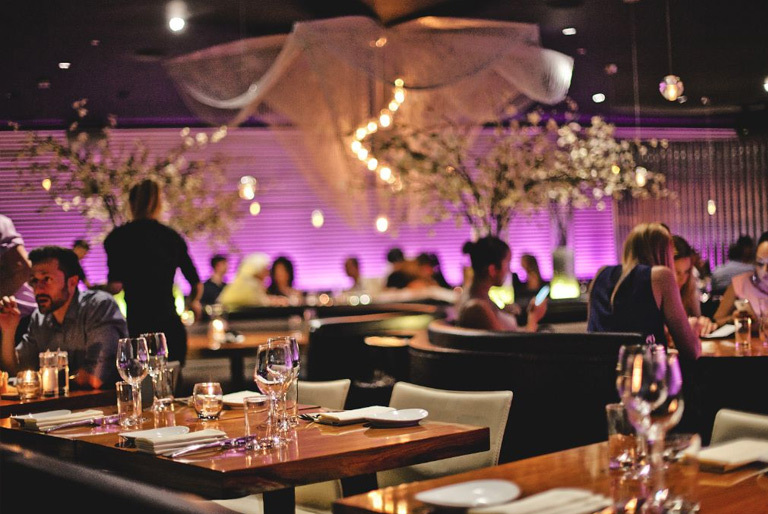 Though brunch is usually quite a casual affair, STK leans towards the ‘night-out’ spectrum of occasions. Scantily clad dancers are up on chairs, DJs play chart music, Men are in shirts and shoes, and women are in heels and dresses. You could easily mistake STK for a Central London night-club. That’s not to say it isn’t allowed but just bare in mind you will probably be the only person in a t-shirt. 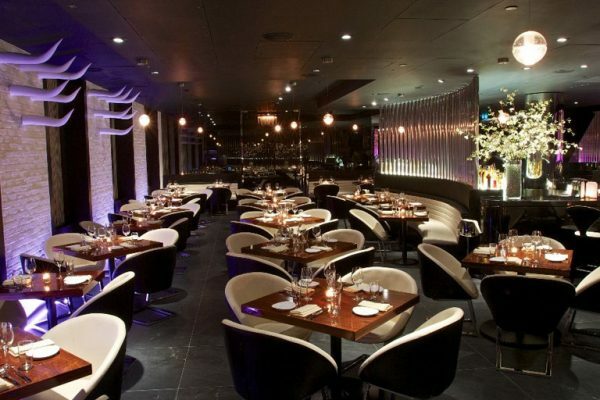 In closing I would suggest brunching here for a special occasion – a birthday, a reunion, or any reason to celebrate. The food is more than good enough for you to enjoy without wanting to join the party but lets face it, after 2 hours of champagne it will be hard to avoid. And don’t shy away from ordering ALL the platters. 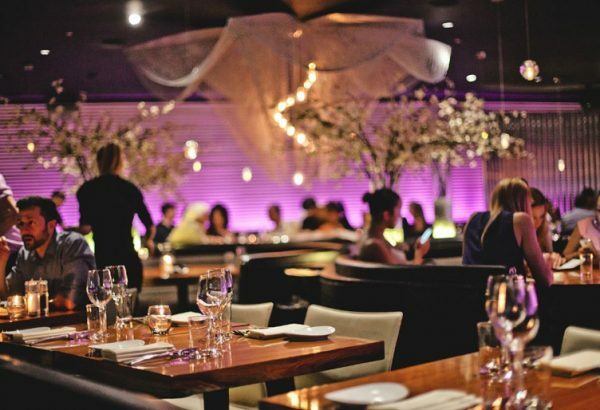 This October, STK London will launch it’s first Champagne Brunch Party in association with Laurent Perrier and Coco de Mer. The next Brunch Party is 31stOctober from 12.00pm to 6.00pm.